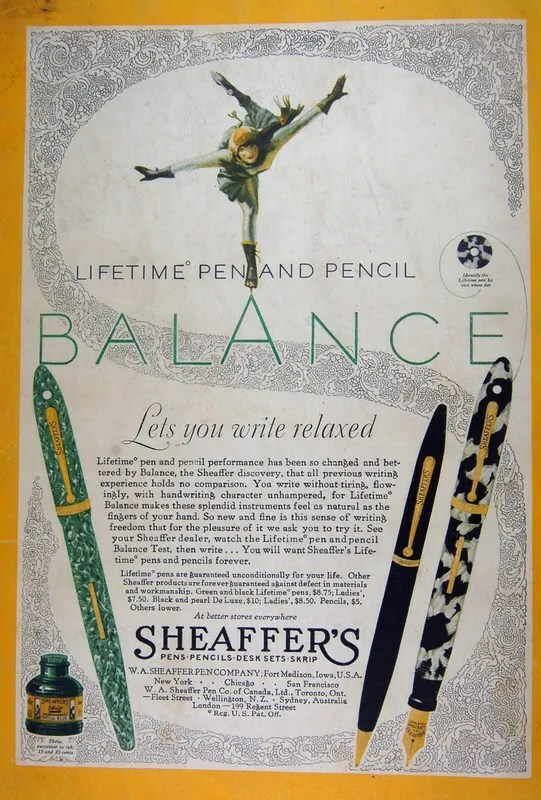 Sheaffer Friday it was! 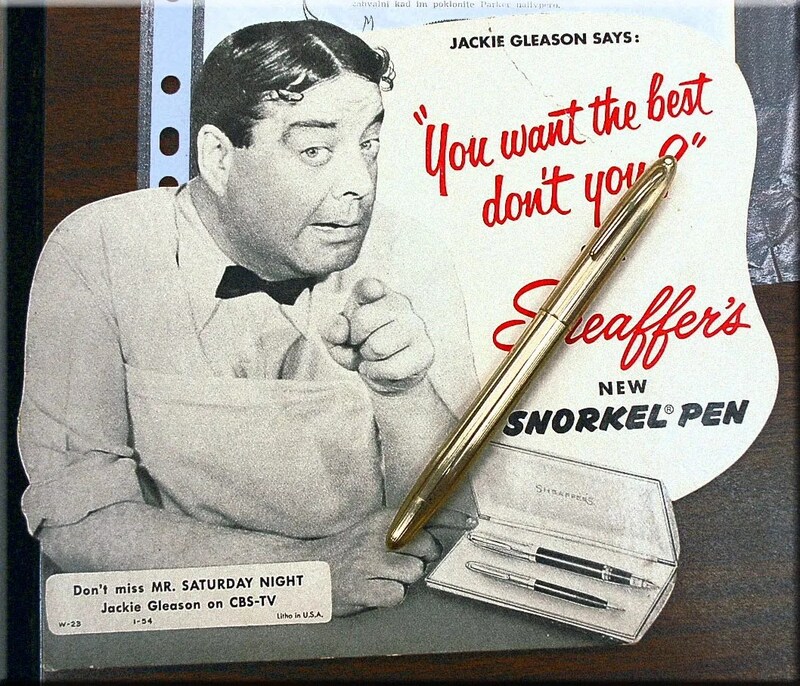 The above Jackie Gleason Sheaffer Advertisement is from the Collection (along with the Gold Snorkel) of Frank Crescioni, who gave a video presentation on the Sheaffer Pen Company 1953 to today. Thank you, Frank, for all of the information and work that went into putting this together. 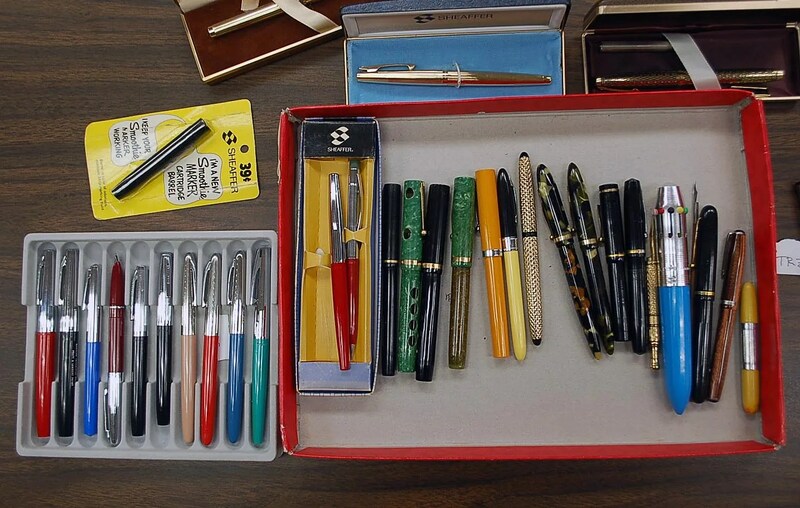 After the video and slide show, the Members shared their recent finds and Sheaffer Collections. 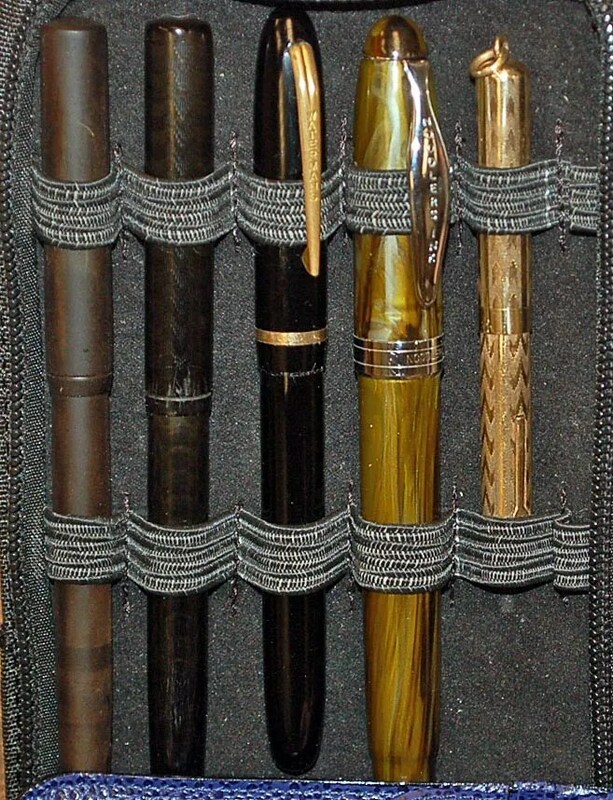 Here are a few photos of these Collections. 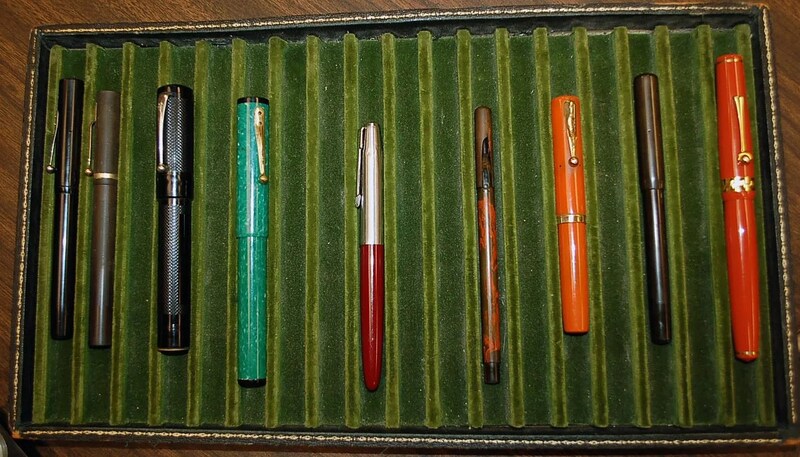 Don’t forget the October Meeting and Anthony Scott’s Discussion of Moore Pens! The September 2013 Meeting will be tomorrow (9-20) evening at 7:00 pm. 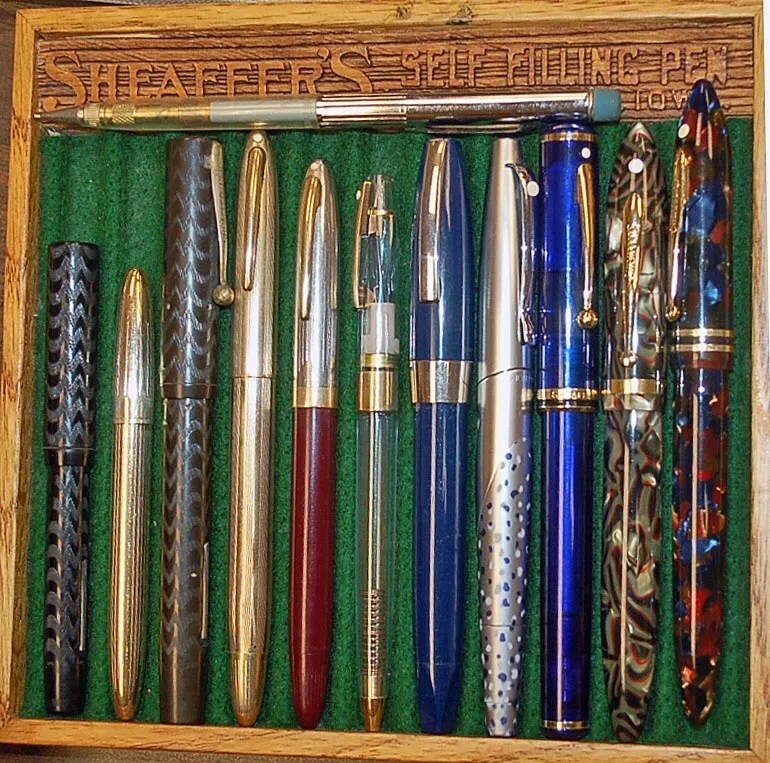 The Theme for this month’s Meeting will be Sheaffer Pens. 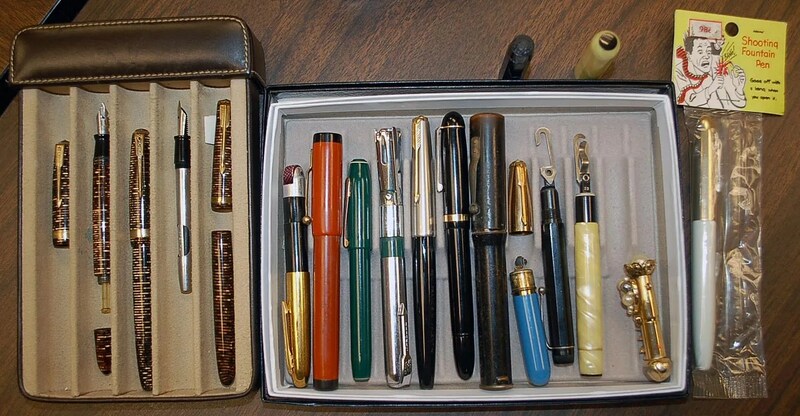 Frank Crescioni will discuss this famous Pen Company from our neighbor to the south – Iowa. 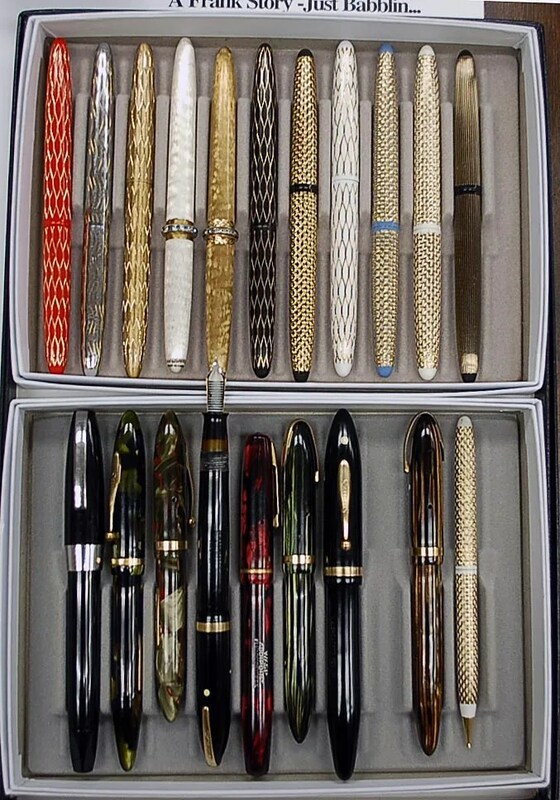 Please bring your favorite Sheaffer pens to show and discuss as well. 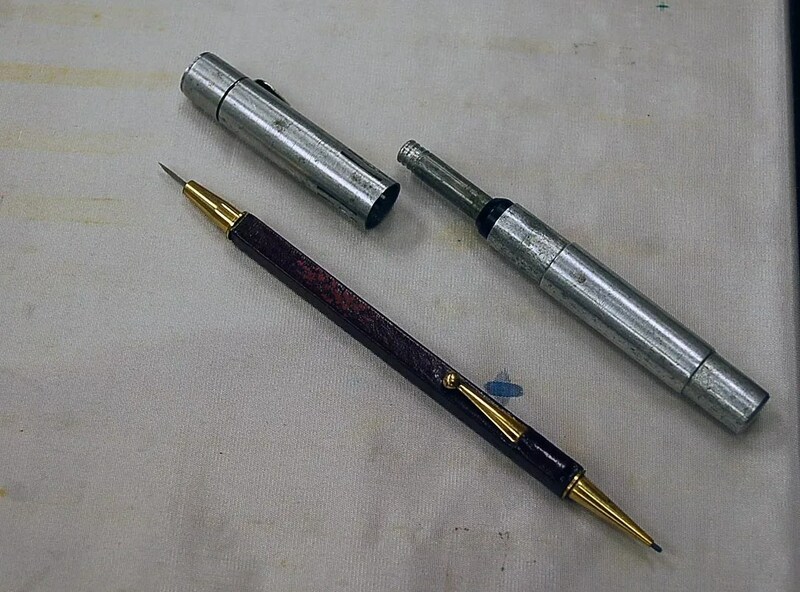 Additionally, Frank will have hard copies of our Newsletter which includes numerous articles, including ones on Frank Dubiel, and Pioneer Pens. The August Meeting was well attended and we thank Barry for the fine refreshments. 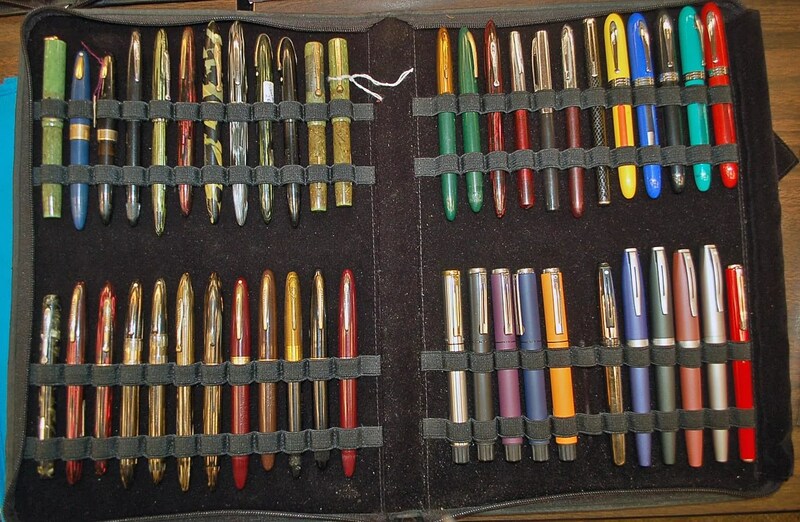 The Meeting Theme was Pens that are ” A Wolf in Sheep’s Clothing”. 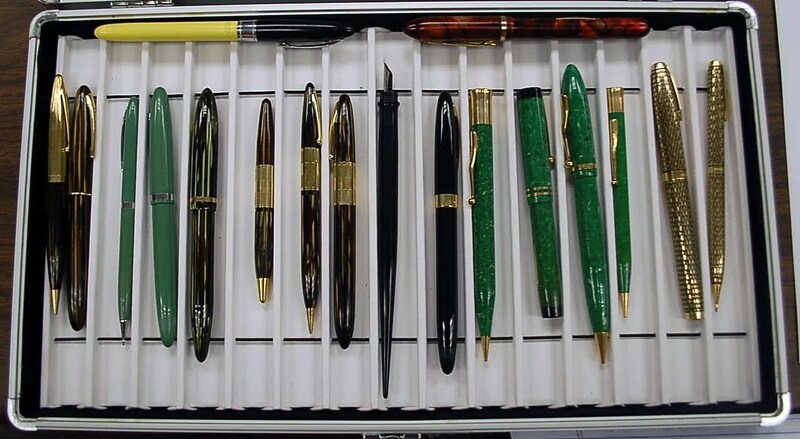 This could mean pens that were replicas of famous pens, or items that look like pens, but really are not..
Two member collections of various Pen-like tools such as thermometers, flashlights, scales, staplers, holy water sprinklers, and more. 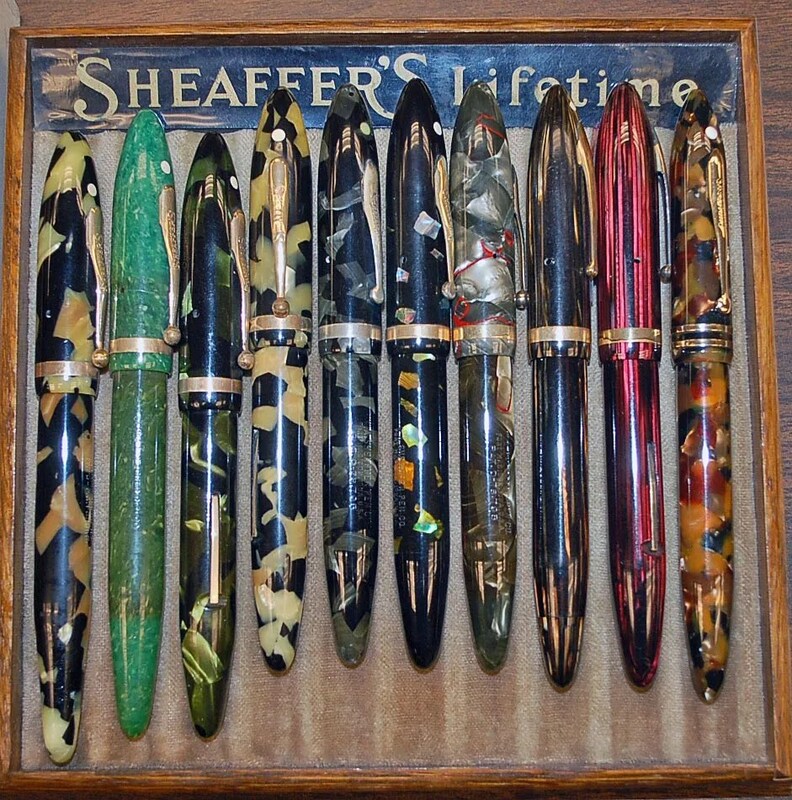 Don’t forget to attend the September Meeting on September 20th at 7:00 pm – the theme is Sheaffer Pens!